I’m a firm believer that no one is more qualified to give you a guide to their country than the people who live there. And I don’t mean the local tour guides or concierges in posh hotels, just the normal people who live in that destination. These are the people who can really tell you the best places to eat and the bars with the best sunset views. They know the quietest beaches, the places the locals buy their groceries and all the hidden gems you’d only know about if you lived there. 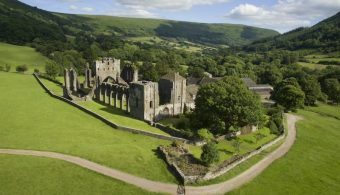 Tour guides are awesome but they get so used to recommending the ‘top attractions’ that they forget we don’t always want top attractions – I actually usually want the opposite. I want the bars and restaurants and beaches no one has even heard of and the places that don’t make it into guidebooks. During my recent trip to Menorca I interviewed the night porter and the night receptionist at my hotel, Hotel Audax, to find out the best things to see and do in Menorca. It was 7am and they’d just worked a long night shift. They were a little unsure of me at first, wary of this ‘blogger’ with her big camera and her list of questions, but they soon got into the spirit of things. Within minutes they had a map out and were enthusiastically circling places and telling me about their favourite spots on the island. They excitedly took my notepad and jotted down names of beaches and restaurants and it was clear to see how much they love Menorca. Just a short while later, I had a complete Menorca guide written out on the pages before me. “Oh, you must go here and try this and walk here and drink this and drive here.” They had so many great recommendations and really helped me to pull together a guide to Menorca to share with you all! So I’d like to say a massive thank you to Jesus and Anita for sharing your knowledge so enthusiastically and making me so excited to return to Menorca! And I will be returning – Sam (my fiancé) has seen my photos and heard me rave about Menorca and has insisted we return. 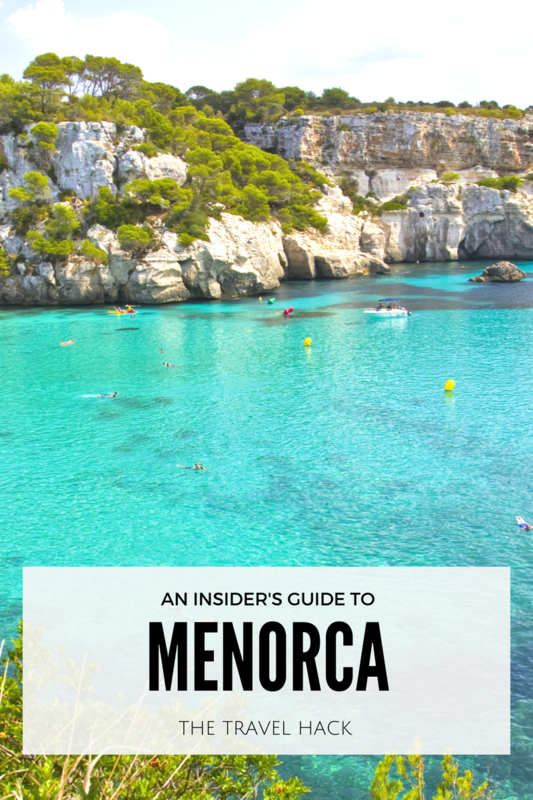 If you’re unsure if Menorca is the place for you, take a look at this post to find out why I think you’ll love it! Menorca: Could this be your perfect holiday destination? Here’s an insider’s guide to Menorca, courtesy of Jesus and Anita. Which is the best beach in Menorca? When you’re looking for things to do in Menorca, a beach is always top of the list. Jesus and Anita were keen to tell me that Macarella Beach is the best beach in Menorca – and it also happens to be handy walking distance from the hotel. You should, however, try to visit some beaches on the south of the island and some on the north to see the contrast. The beaches of the south have white sand and calm, clear seas. The beach of north are wild and rugged. They’re equally beautiful but very different. 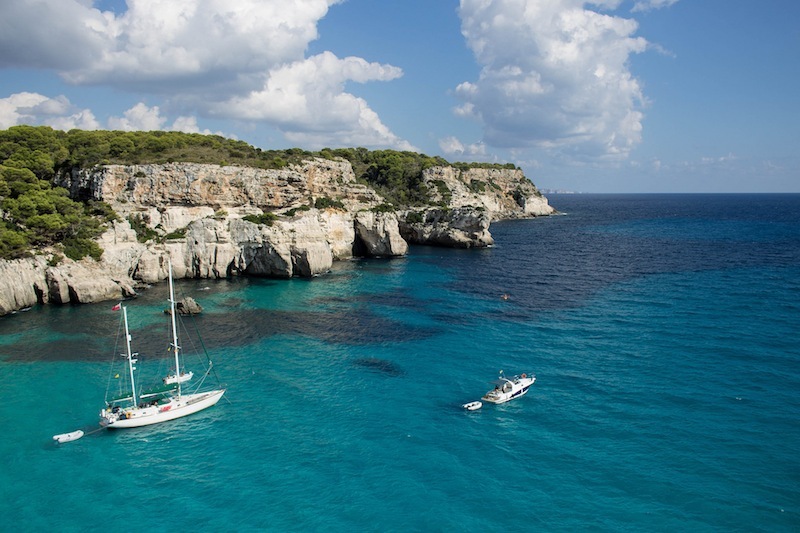 What are the unmissable things to do in Menorca? Binibequer in the south east of the island – this is the place to go to escape the crowds and enjoy the quiet, rural village life. What’s the best way to discover Menorca? No guide to Menorca would be complete without this little tip. Hire a boat and spend a few days sailing around the island. 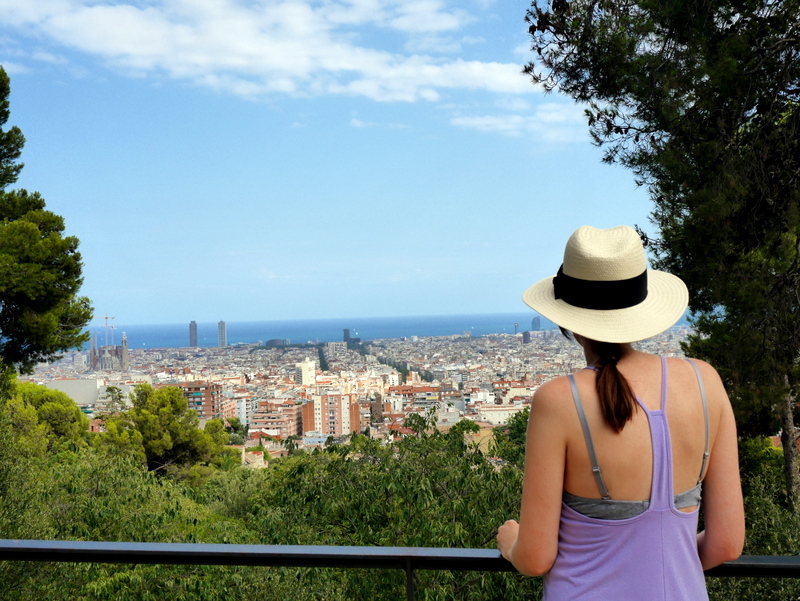 You’ll discover all the secret coves and hidden beaches! If a boat isn’t within your budget then hire a car and go get lost. Menorca is a small island so you can discover a lot in a one-week holiday. You could find those hidden beaches by hiring a kayak – it might not be as glamorous but it’s a lot of fun. Where is your favourite place to eat in all of Menorca? 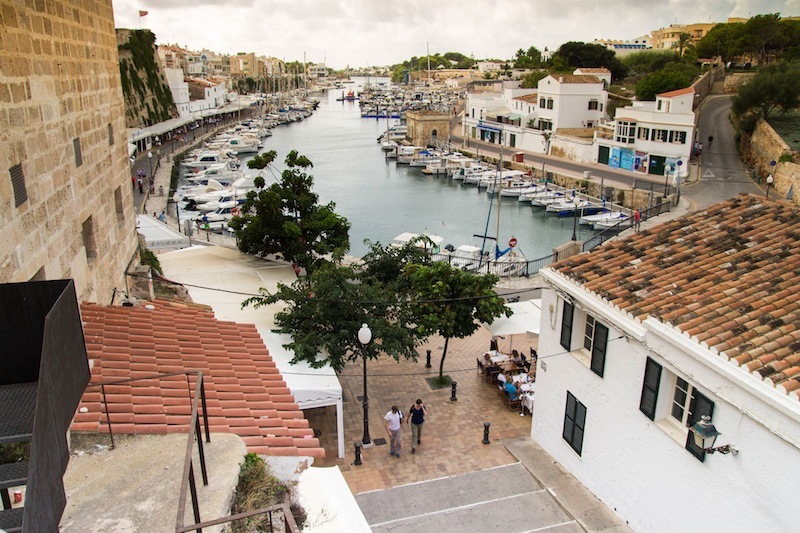 The fishing village of Fornells in the north of Menorca is also a great area to eat out as there are plenty of great restaurants around the harbour. What’s a traditional meal you’d recommend visitors try? Caldereta, or Lobster stew, as this is what Menorca is famous for. You’ll find huge chunks of lobster served in a fresh, tomatoey soup. It was traditionally a meal for poor people but now it’s one of the most expensive things on the menu. But, trust me now, it’s worth every single penny. I tried it at Café Balear and it was delicious. The lobster is in season between April and August. Which is the best bar in Menorca? A traditional drink to try is gin and lemonade. It’s crisp and refreshing and slips down dangerously easily. What’s the best time of year to visit Menorca? May, June and September are the best times to be in Menorca. In July and August it is very hot and busier but the shoulder seasons have perfect weather and fewer crowds. Yaaaay! 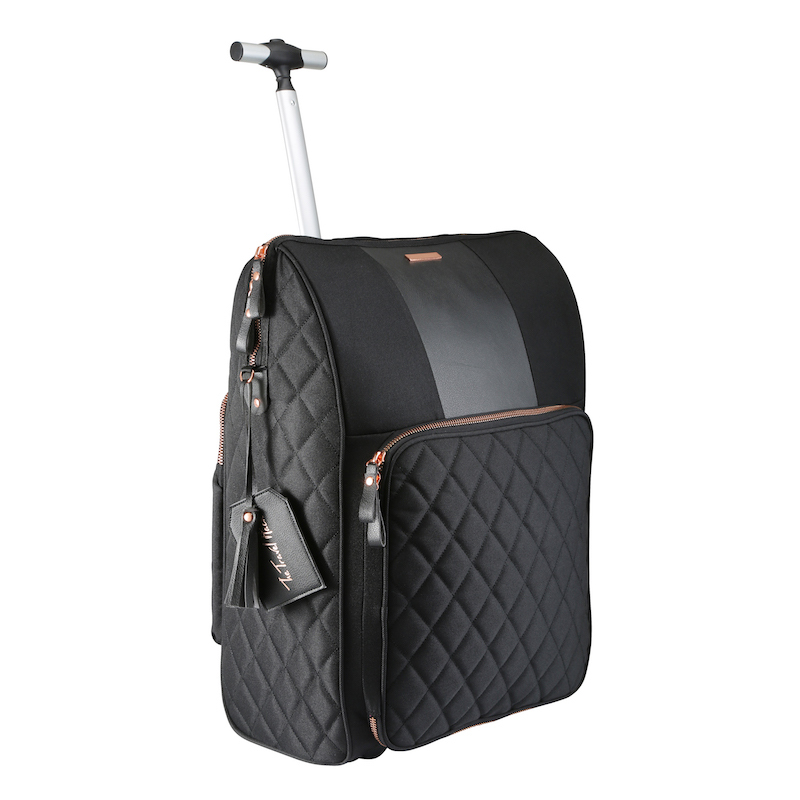 Saved for my trip to Menorca in July! A boat trip is definitely on the agenda! The beaches are gorgeous. Thanks for sharing your guide, Sarah! What a beautiful guide. Thanks for sharing! No problem, I’m glad you liked it!